Family law attorney gets free publicity with tips from PR LEADS and "Reporters Are Looking for You!" Home/Book marketing, Book publicity, Free publicity, PR LEADS General Advice, Publicity/Family law attorney gets free publicity with tips from PR LEADS and "Reporters Are Looking for You!" 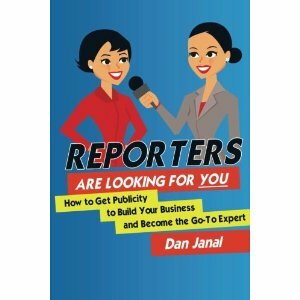 My best tips are now in a book called “Reporters Are Looking for YOU!” It will help you get more PR by answering reporter’s leads more effectively! Let’s face it, there are lots of people answering leads and you need every advantage you can get to stand out from the crowd. I’ve compiled my best tips based on 12 years of helping literally thousands of speakers, authors, coaches, consultants, doctors and lawyers get publicity by answering queries. Best of all, the book is only $9.99! That’s because I believe in charging a fair price – and not gouging people. Get your copy today.